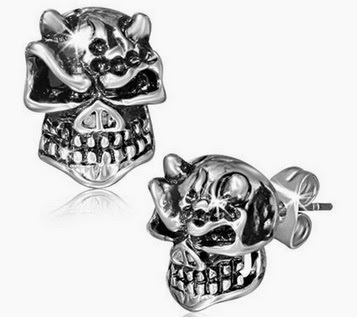 It is pretty hard to find strange earrings. The weirdest you're going to usually get is a dinosaur or a snail. But I have found some pretty strange ones after hours of searching. The weird little bull-men pictured above are my favorite. I'm guessing the open part is supposed to be a nose, but instead it looks like a toothy mouth. And the way the eyes slant inward just adds to these little creepy critters. 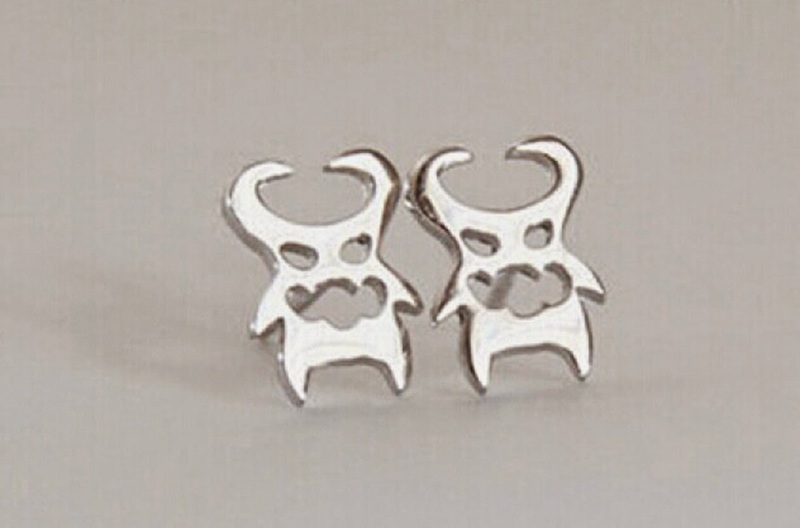 These ones are even advertised as freaky alien earrings. The eyes look sunken and eerie and the weirdly shaped ribs are a nice touch. 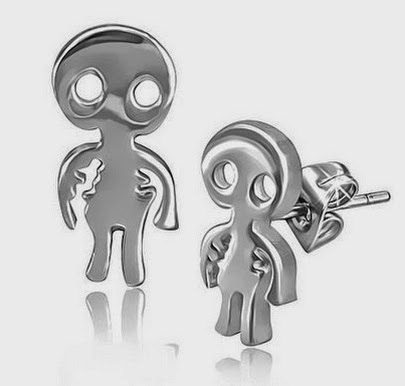 I like that they aren't the traditional and cliche alien with the egg-shaped head. 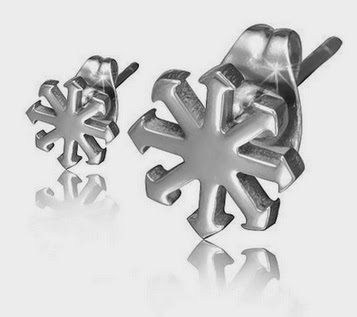 These are advertised as "snowflake" earrings, and I guess if you don't look too close that's what they are. But really they are the symbol for chaos, which ties to the 8 of wands in Crowley's tarot deck. Anything that relates back to Crowley definitely has a creep factor. I'm not sure if this guy has a pig nose or if his nose got cut off. The different sizes of the eyes add asymmetry and make him look like he is questioning something. Perhaps he is wondering what demonic curse he will spread on this earth. I think the pockmarks are a cool touch. Are they from the spitting embers of hell, or are they left over from a bad case of acne? Disclaimer: We are Amazon Affiliates. This means if you buy anything after clicking on a link to Amazon you help support this blog. Thanks!